Set of three includes: Coarse (blue, 45 micron / 325 mesh) to quickly restore a neglected edge; Fine (red, 25 micron / 600 mesh) for a razor sharp edge; Extra-fine (green, 9 micron / 1200 mesh) to polish and refine a razor edge after sharpening with a coarser diamond. Size: 2-11/16" x 15/16" x 3/16". Sharpening with diamonds is fast and easy. No messy oils needed - sharpen dry or with water. Do not store wet. Well-built conventional Demagnetizer which is useful for demagnetizing tools, small parts and tweezers. Simple and quick. Thumb screw adjusts saw frame for blade grip and blade length. A great saw for making thin, pattern cuts in plastics and metal. 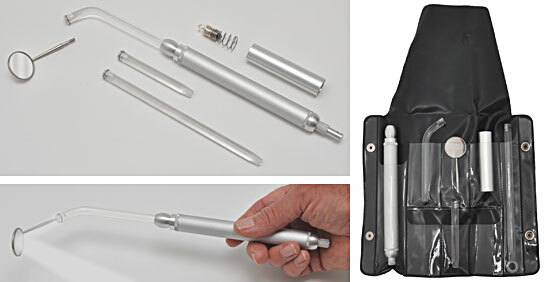 Cordless, battery operated micro engraver set with diamond tip bits. Ideal for engraving and coding samples, sample mounts and embedded samples. Works on metal, glas, ceramics, plastics, epoxies and wood. Compact pen style design. Complete with two bits, allen key and two AAA batteries. Shaft diameter of bits is 2.3mm. The unique design of these round hole arch punches makes them ideal for punching out round samples in thin foils of soft metals (brass, aluminum, silver, copper, gold and lead) as well as soft materials (plastics, rubber, tapes and cloths). You can also use these punches to make custom size adhesive pads (tabs). 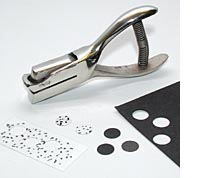 The round hole punch design does not touch the surface of the samples which allows for investigating surfaces as they are. The punches are made of high quality hardened tool steel. Available in sizes ranging from 1/4" (6.35) to 1.5" (38mm) compatible with SEM sample mounts in that range. 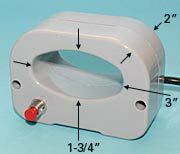 The Conduct-A-Lite Inspection Kit consists of an aluminum 2-battery or 1-battery (more compact) illuminator, a 4" curved light guide, a 3" straight light guide, a 6" straight light guide and a 1" (25mm) inspection mirror which screws into the light guides. The light allows for looking into dark areas and the curved light guide illuminates around corners in a full 360° arc. The light operates on one or two AA batteries (not included) depending on if you choose the one battery or two battery body. Note that two bulbs are also included, one for the two battery operation and one for the one battery operation, please read the instructions included regarding this. Comes with a plastic storage pouch. Nickel plated, handy Triceps Pick-Up for picking up small parts up to approx. 3/8" (9.5mm) in diameter. Overall length: 4.5" (114mm). 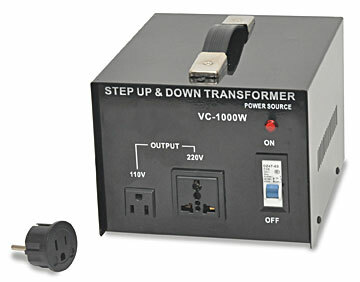 Step up / step down voltage transformer that can be used to adapt small electrical equipment from 110V to 220V or 220V to 110V. Input voltage 110, 200, 220 or 240 Volt. Output voltage 110 or 220 Volt. 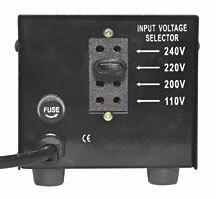 Comes with power on/off switch and external, replaceable fuse. Available with 200W, 500W or 1000W capacity. 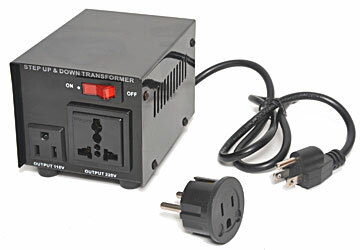 Includes power cord with US style 115V grounded power plug and "Schuko" adapter which is used in many European countries. CE marked.